Part 1: What Careers Are Available for Sociology Graduates? Graduates who have acquired advanced certifications and degrees in sociology normally accept job offers containing ‘sociologist’ as the title. However, graduates who are doing their bachelors, or have a bachelor’s degree, can accept positions lying both within as well as outside the discipline of sociology. Graduates in sociology have the potential to several sociology jobs in various fields, including fields encompassing national and political leaderships. To better understand what sociology jobs are available for you if you are graduating in sociology, and how you need to prepare for such jobs, take the help of this guide. As confused as many other graduates, what kind of sociology jobs are available for sociology graduates still be a concern for them. 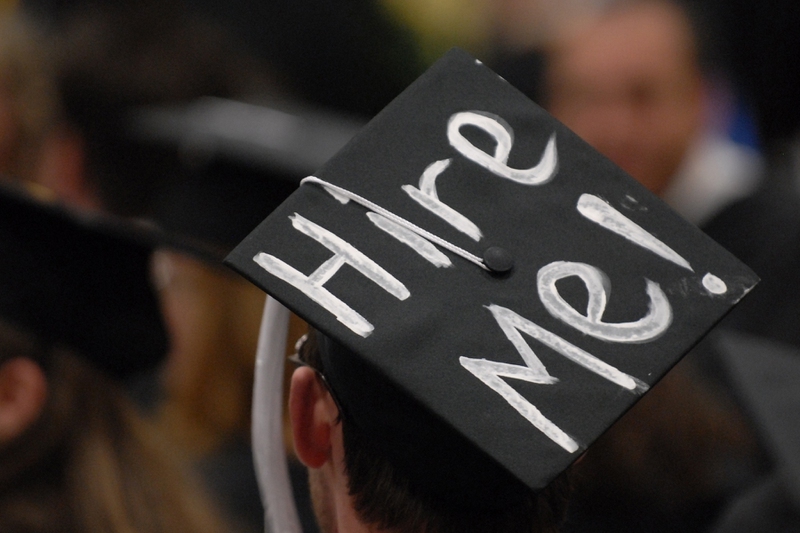 Below we list some possible careers from those graduates to take as a referece. Administration: A sociology degree can easily get you a good administrative job in public or government organizations. A sociologist can make a good leader, facilitating people who are seeking public help. Moreover, an expert sociologist can lead different teams comprising of researchers and play their part in reshaping the community. Administrative jobs in educational institutes and other workplaces are suitable for sociologists as well. Counseling: Often therapists and counselors get the basic understanding of sociology to have a clear comprehension of the different trends, they come across in their patients. With the help of various techniques and tactics used by sociologists, counselors can find out the crucial needs of their patients and use this information for helping them out. Corrections: Both local and national governments often hire qualified sociologists for communicating with prisoners and dangerous criminals. Sociologists can use their knowledge and expertise for educating them. Moreover, they are also hired for understanding the effect of different rules on the communities. They can assist the officials in correcting different laws and help them determine the effects of different programs on the prisoners. Investigations: The FBI is famous for hiring sociologists as consultants, therapists, counselors and administrators. Sociologists can facilitate profilers and detectives in solving their cases by decoding the mysterious crime patterns of criminals. With the help of their knowledge, not only can sociologists help detectives locate criminals, they can also play a huge role in making the society a better place to live in. Journalism: Sociologists with good communication skills can easily score a job in the journalism department in various organizations. News channels and magazine publishers are always on a lookout for great sociologists who can come up with engaging stories for their readers and viewers. Working with the market researchers and editors, sociologists can help these organizations produce the kind of news that their audience is looking for. Education: A degree in sociology can easily help you establish a career in the field of education. Your bachelor’s degree and certificate in teaching are sufficient for teaching history, social science and political science to high school students. If you have a PhD in sociology, you can easily secure a teaching job in a college or university. Public Relations: A major in sociology can also help you get a good job in the public relations department in excellent organizations. Sociologists can help the company improve its products and increase its market share by identifying the market trends and buying behaviors of its target market. They are also aware of the needs of people and can use this information for helping the organization come up with better marketing strategies. Moreover, they can effectively communicate with the journalists, activists and media personnel and defuse major problems quite easily. Politics: A sociology degree can help you get a good job in the field of politics. Campaign managers of different politicians are in need of excellent sociologists who can help them identify the key features of different neighborhoods for getting an edge over the competitors in the elections. The sociologists help these managers understand the voting behaviors and patterns of people, helping them succeed in an election. Moreover, sociologists also help discover factors that can facilitate the politicians to achieve economic and political harmony in the country. Sociologists play a useful part in the census program as well, helping the government find out the exact population and devise strategies to increase or limit it accordingly. Senior Services: Sociologists are also hired by government organizations for studying the behaviors of baby boomers to find out the factors that can help different generations thrive easily in a country. This information can help the scarcely populated countries increase their population quota and provide a better life to the senior citizens. Youth Services: Children are extremely valuable to our society. Organizations are hiring sociologists to study the impact of different policies and parenting techniques on the behavior of children and the youth. This information help sociologists identify the problems faced by the youth. Moreover, they can devise techniques and strategies that can help the young people, facilitating them in living a better life. Research: Sociologists can also work as researchers and research consultants for different organizations, helping them find out suitable behaviors and trends of their customers and target market. They come up with valuable research that can help the organization improve its product. Moreover, sociologists can always carry out independent research and get a chance to discover new facts about the society. This can also help them win helpful grants. Studying a sociology course in high school helps you earn credit for subjects like mathematics, literature and history, facilitating you in getting an understanding of writing and research. This also reduces your course load, giving you an opportunity to graduate quickly and begin working as a sociologist as early as possible. These extra credits provide you with an easy schedule, enabling you to invest more time to carry out research in this field. If you are working part-time during your undergrad program, you can profit from the advanced placement courses as well. Sociologists who are already working in the private or government organizations can create research projects. This will help your company get an understanding of their different stakeholders and the students can get hold of course credit that can help them graduate early. You must be able to create and write well-researched and logical reports. Moreover, you need to have command over non-verbal communication by using different diagrams, graphs and tables. You must have excellent listening and responding capabilities as well. Besides that, you must be exceptional at clarifying and justifying your opinion, so that you can easily persuade others. You need to be great at planning a research process as well as executing it. You should know how to collect different data by paying attention to minute details. You must also be able to conduct a critical analysis of important statistical, social and other essential information and data easily. You need to have a basic knowledge and understanding of different sociological theories related to the social issues, social interaction, use of public rules and policies. You should also know how to properly use different statistical software as they are often employed while carrying out market research and other types of studies. You need to be able to present ideas, opinions and theories effectively. Moreover, you must have a clear understanding of the cultural and institutional values and should be able to synthesize important information without any difficulty. You should be able to arrange important information and facts in the organization you are working in. The ability of planning as well as managing time equip you to meet deadlines efficiently. Moreover, you need to adjust in small or big groups and teams quite easily, and should also be able to work separately. Note: You can combine different voluntary and part-time opportunities with the sociology course you are enrolled in or with your current job. This helps you gain more experience and a better understanding of this field. These opportunities include spending time in schools, different departments pertaining to social work, philanthropic organizations and community colleges. Moreover, spending time with the deprived and needy people of the society can also provide you with useful information that can help you out in your job in the long run.